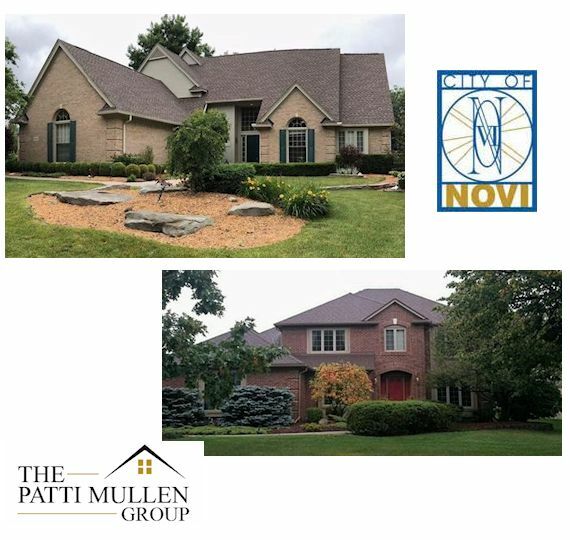 The Patti Mullen Group are experienced, Northville and Novi Realtors. Our realtors have operated in the area for over 30 years. In this time-frame, we’ve acquired a vast knowledge of the community and earned a reputation as top realtors. Bought and sold a Single Family home in 2017 in Novi, MI. Sold a Single Family home in 2017 in Novi, MI. Novi remains one of the fastest growing cities in Michigan. This rapid growth is due to high quality shopping centers, top-rated schools, fantastic job opportunities, and a family-friendly community. Overall, Novi is the ultimate place to call home. The Patti Mullen Group are top rated realtors in Novi and Northville. Our reputation comes from high client ratings, a track record of success and over 25 years of experience in the area. This experience and reputation allow us to find the ideal home for a client at the best price. As a long time resident and current Chamber of Commerce member for the neighboring city of Northville, Patti Mullen possesses deep community knowledge. Moreover, our reputation as the area’s top realtors, allow us to quickly and effectively connect clients with potential buyers. Thus, if you’re looking to sell a home in Novi MI, The Patti Mullen Group can streamline this process. Award winning education – The schools of Novi Community School District, A Gold Medal School District, are among the highest performing schools in Michigan. State-of-the-art technology and abundant academic and extracurricular awards make Novi a wonderful place to receive an education. Novi is also home to Ringo Kai, the Japanese School of Detroit; Catholic Central High School, a top-rated college preparatory school for boys; and St. Catherine of Siena Academy, a Catholic high school for girls. World Class Shopping Destination – Novi hosts an impressive 3.7 million square feet of retail space, including Twelve Oaks Mall, the largest indoor shopping center in Michigan. If the abundant shopping and restaurants at Twelve Oaks Mall aren’t enough, Novi Town Center offers even more! And for those who want shopping and entertainment, Twelve Mile Crossing at Fountain Walk Park includes the Emagine Theater, go-karts, mini golf, and bowling, along with a variety of restaurants and stores. With over 25 years of successful real estate experience and extensive knowledge of the Northville and Novi Community, we can maximize client results on either end of a home transaction. Therefore, whether you need help buying or selling a home in Novi, contact our top-rated realtors today.